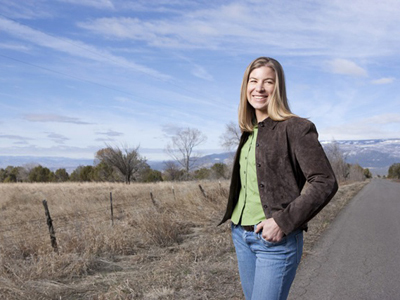 Christie Aschwanden, a Colorado-based freelance journalist and a 1998 graduate of the SciCom program, has received a 2013 Science in Society Journalism Award for her commentary on breast-cancer screening policies. Aschwanden was honored by the National Association of Science Writers (NASW) for her post titled "The Real Scandal: Science Denialism at Susan G. Komen for the Cure," written for the national science blog The Last Word on Nothing. The column, posted February 8, 2012, asserted that the organization ignored research on tumor biology to overemphasize the need for breast cancer screening. In her commentary, Aschwanden took issue with Susan G. Komen for the Cure's blame-the-victim tone and the false narrative that breast cancer is uniformly progressive and can only be treated if caught early. Such a position, wrote Aschwanden, ignores the perils of over-diagnosis and the potential for unnecessary and damaging treatments. Judges called Aschwanden's opinion piece "persuasively argued, authoritative and highly informative." She received $2,500 for the prize in a ceremony at NASW's annual meeting in Gainesville, Florida. NASW established the awards in 1972 to recognize investigative or interpretive reporting about the sciences and their impact on society. The awards are intended to encourage critical, probing work that would not receive an honor from an interest group. They are judged entirely by peers in the science writing profession. "This award was a wonderful surprise," Aschwanden says. "It arose from my reporting on breast cancer and mammography, a topic I've been covering since about 2000. The science I was discovering in the scientific literature totally contradicted the messaging I was seeing in advocacy messages, and I thought women would be mad as hell if they knew." Her pieces on the subject have appeared to date in the Los Angeles Times (here and here), Pacific Standard, Slate, and the Washington Post. "I'm also thrilled for the recognition this brings to Last Word On Nothing," Aschwanden notes. "It's a labor of love, and as I explained last spring, I've fallen in love with blogging. The high caliber of the other LWON writers (some of whom are Slugs) pushes me to rise to their level." Aschwanden received a B.A. in biology from the University of Colorado, Boulder, and completed the SciCom program in 1998. A lifetime athlete, she writes for dozens of national publications from her home in western Colorado.